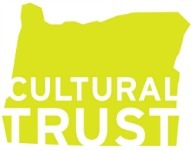 The Genealogical Forum of Oregon (GFO) was created and organized exclusively for charitable, literary, educational and scientific purposes. The GFO’s primary purpose is to educate, to record, and to preserve genealogical and historical records and information. 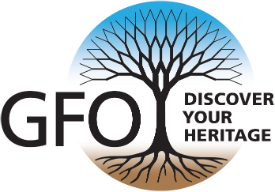 The GFO’s objectives are to instruct in research, to create an interest in genealogy, and to collect and organize, share, compile and publish genealogical and historical materials. The purpose of this fundraising policy is to ensure that GFO conducts at all times ethical, truthful, lawful, and transparent fundraising activities and procedures, to ensure donor privacy, enable effective and coordinated efforts, and promote donor stewardship. All fundraising functions, activities and efforts on behalf of GFO shall be used to further GFO’s purpose and objectives, or directly support its long-term stability, and shall follow the policies and procedures outlined below. GFO is a non-profit organization and has attained I.R.S. Section 501(c)(3) status. As such, all gifts, contributions and devices are tax deductible to the full extent allowed by law. The GFO’s Federal Tax ID is: 93-6026015. The GFO Executive Board reviews and approves all tax filings. GFO engages in fundraising campaigns to meet a variety of organizational goals and identified needs to support its purpose and objectives. Fundraising solicitations may be made by a variety of means such as via letter, telephone, email, other electronic messaging, the GFO website and other online presences, publications, or in person. All communications with members and with other donors and potential donors will state clearly and truthfully fundraising goals and purposes. GFO is committed to practicing non-coercive solicitations at all times. GFO will keep accurate and safe donor records. These donor records will be kept confidential at all times. Written acknowledgement of donations will occur in a timely manner, and donor receipt of donations received will be processed within a fourteen (14) day timeframe. GFO is an all-volunteer organization and besides membership dues, its funding is obtained entirely through fundraising efforts, grants, bequests, and other donations. Protecting donor information is vital to GFO’s fundraising success. GFO does not share, sell, trade or otherwise market any donor information. GFO does, in its member publications, periodically publish lists of donors as a form of acknowledgement. Anonymity of any donor is honored when requested. GFO-sponsored fundraising activities and events shall support GFO’s purpose and objectives, address clearly identified needs, and be approved by the Board of Directors. GFO will provide clear communication to event guests regarding IRS regulations that limit the charitable deduction amount to only a portion of the ticket price, if ticket purchasing is involved. Raffles will follow the rules of the State of Oregon Department of Justice’s regulations. From time to time the GFO may accept non-monetary gifts that further its purpose and objectives and can meet an identified need. The GFO Board of Directors reserves the right to decline a gift that cannot be used as the donor intends, or falls outside the scope of the GFO’s purpose and objectives, or requires a diversion of resources to maintain or sell, or creates a legal liability for GFO, or comes from a source that does not align with the GFO’s values. In-kind donations, such as books, are accepted and may be sold or disposed of as deemed necessary. GFO accepts monetary gifts via U.S. mail, by in-person or other delivery to the GFO library or at GFO events, or online via GFO’s website. All volunteers involved in fundraising functions or activities and all fundraisers acting on behalf of GFO must abide by this GFO Fundraising Policy, its provisions and its procedures. All volunteers with access to donor information must first sign a volunteer-donor confidentiality form. GFO may establish, cultivate and maintain longer-term relationships with donors as valued partners in forwarding GFO’s purpose and objectives. Regular activities associated with donor stewardship may include invitations to annual or periodic events, sharing general information that may be relevant to donors’ interest, and periodic targeted communications sharing updated information relevant to fundraising accomplishments or to introduce new campaigns. Donors may choose to opt out of receiving regular or periodic informational emails or mailings. The GFO relies on volunteers but the Board of Directors may choose to approve the use of paid fundraisers. If used, the compensation of such paid fundraisers shall be by a salary or a set fixed-fee and not by a percentage-based mechanism or by commission, as determined by the Board of Directors. This policy will be reviewed by the GFO Board of Directors every two years at the June Board meeting and may be amended as deemed appropriate by the GFO Board. The GFO Board may decide to amend this policy at another time if changes to applicable law or other significant circumstances arise that trigger a need for amendment to keep this policy in full compliance with all applicable laws and regulations. Regardless of circumstances, any review and amendment deemed necessary shall be completed in a timely manner. You can download the GFO Fundraising Policy (PDF) here.